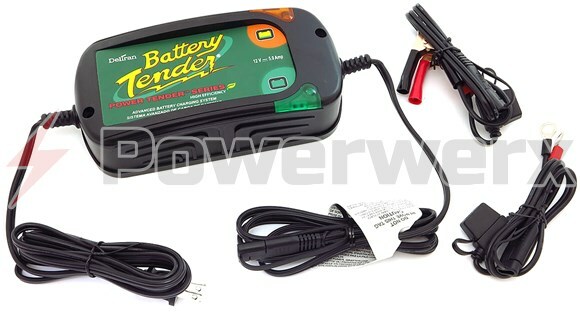 The Battery Tender Power Tender Plus High Efficiency is a 5 amp battery charger that will fully charge and maintain a battery at its proper storage voltage without the damaging effects caused by trickle chargers. A higher output (5 amps) for a quicker recharge combined with the automatic switch to maintenance mode makes this unit very versatile. 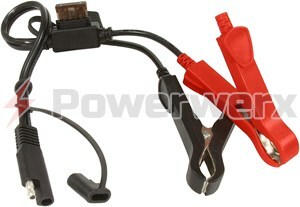 It is an ideal charger for everyday charging use or long term storage and maintenance. 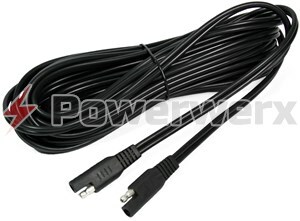 Replaces 022-0157-1 and 022-0142-DL-WH in the California market.